A Czech billionaire’s ambition may decide whether his nation remains anchored to European democratic values or slides into the ranks of countries embracing an increasingly euroskeptic, illiberal model. Prime Minister Andrej Babis has navigated himself into an impasse since winning parliamentary elections in October. He’s refused to let anyone else run the government, even as a fraud investigation has torpedoed any chance of traditional political forces giving him the support he needs to get a cabinet confirmed. His most obvious remaining option is to rely on extremist parties. As a solution to his my-way-or-the-highway stance, pro-Russian and euroskeptic President Milos Zeman urged Babis to seek the support of the Communist party and the far-right Freedom and Direct Democracy, known as SPD. Both want the country of 10.6 million people to leave NATO, and SPD’s leader has also called for exiting the European Union. Such a tie-up would tilt the Czech Republic further in the direction of its regional peers Poland and Hungary, where anti-immigrant governments have clashed with the EU over democratic standards and rule of law. Since winning the October ballot vowing to keep out Muslims and railing against meddling from Brussels, Babis has sought to win the respect of European leaders like German Chancellor Angela Merkel with assurances that he’s a pro-EU leader worthy of being heard. Babis argues that ANO eclipsed all other parties in the October vote, making him the only clear choice to lead the government. And despite the fraud allegations, which he denies, opinion polls show that he’s the country’s most popular politician. With an estimated fortune of more than $4 billion, Babis said he and his party will decide which path to take as early as Thursday. 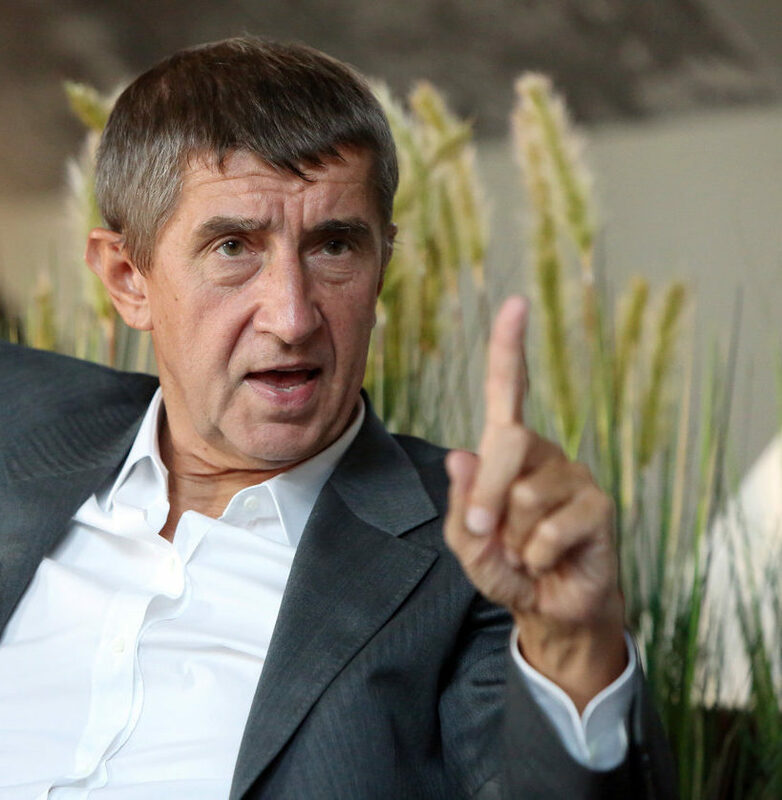 Babis himself has repeatedly said he won’t create a coalition with either the Communists or the SPD, but he hasn’t rejected relying on them to win a confidence vote after he failed in a first try in January. He argues that both the Communist Party and the SPD were elected to parliament with legitimate votes. Relying on backing from the two groups is “the only option on the table for now,” Babis told the Mlada Fronta Dnes newspaper, which belongs to his chemical and media empire, in an interview published on Thursday. ANO has already pushed through some legislation with the help of the two fringe parties, including electing Okamura as deputy speaker and keeping him in the job when the opposition tried to oust him over the concentration camp remarks. “The only thing that’s stopping Babis from an open cooperation with Okamura is his fear of the reaction abroad, of what the EU tells him,” said Stanislav Balik, a political scientist at Masaryk University in Brno, the country’s second-largest city.